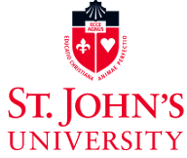 This campaign ended on December 07, 2016, but you can still make a gift to St. John's University by clicking here! Friend of GLOBE gave $25 because 5 donors made a gift in 5 days. Linda M. Sama gave $100 because $500 was donated in 9 days. This is where GLOBE comes in. GLOBE (Global Loan Opportunities for Budding Entrepreneurs), is a not-for-profit, student-managed microloan program at St. John's University. We provide small loans funded entirely through donations to entrepreneurs in developing countries. GLOBE currently provides loans, with the help of our eyes and ears in the field, the Daughters of Charity. We provide loans in the Democratic Republic of Congo, Kenya, Nigeria, Nicaragua, Vietnam, and the Philippines. Our students and faculty are dedicated to ensuring the organization stays running. And this wouldn’t be possible without your help. This is where YOU come in. This semester alone we have received almost a dozen loan applications. We need your help to give to our new borrowers, as well as to borrower applicants who come to us in the future. Your donation can help a mother create a business that will not only sustain her and her family, but will create a chain reaction of sustainability in entire communities, breaking the intergenerational cycle of poverty. GLOBE asks that you help to make our 4th Give Campus Campaign, #GLOBEGives, the best yet! Please, in the spirit of the Thanksgiving and the holiday season, help GLOBE give to those in need. Our goal is to raise $4,000 by the end of our 30-day Campaign. In accordance with raising funds, we hope to substantially increase the awareness of our organization. The more people that know what GLOBE is and how we operate, the more successful our Organization can be. So spread the word!! With YOUR help, we students can change the world one microloan at a time. With YOUR support, we are one step closer to eradicating poverty. With YOUR donations, we can continue creating sustainable lives for our borrowers. We need YOU to contribute, so GLOBE can give!